When managers talk about bringing analytics and evidence-based decisions to the business, it usually means they're about to hire a Stevens student. Seth Kirschner '18, with microphone, leads a presentation at Deloitte's offices in New York during his internship. Whether as interns or early-career professionals, Stevens business students are trusted with high-profile assignments in areas like disruptive technologies, optimization, strategic marketing, predictive analytics and risk assessment, because corporate managers know these skills are at the core of their education. Stevens students also are excellent presenters and collaborators thanks to assignments that require working in teams to manage timelines, complete projects, and report findings to peers and industry guests. After completing three internships, Sheila accepted a position as a technology analyst at Morgan Chase. But giving back is second nature to this first-generation college graduate, who deferred her offer one year to teach English in Southeast Asia. Watch as Stevens business students explain how their classroom lessons translated into success as interns. Joyce Pegler had no cybersecurity experience, but PwC took her on as an intern anyway, knowing her Stevens skills would make her a strong fit. As an intern for a startup, Phillipe Donaus credits Stevens with helping him learn a new programming language. When PwC was introducing a new piece of technology, Jane Lorraine Castro impressed her bosses by already knowing how to use it. Genevieve Finn discusses how her information systems and computer sciences classes turned heads at JPMorgan Chase. 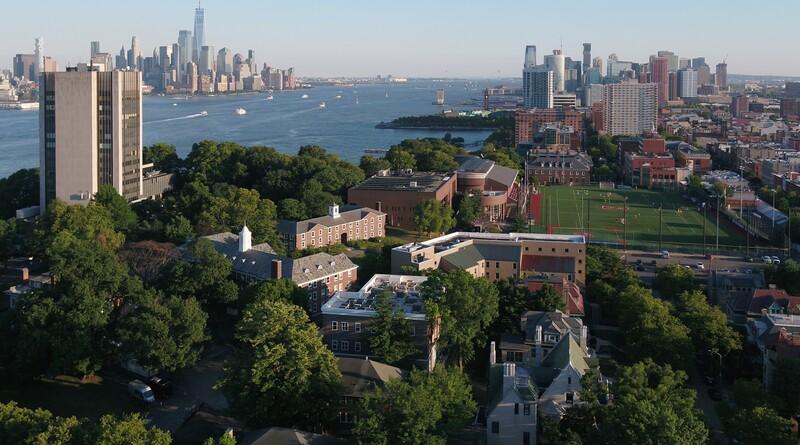 Its proximity to New York City means Stevens is a popular place for recruiters seeking interns and employees. A curricular emphasis on analytical skills gives Stevens business students many advantages in competing for internships and jobs. Stevens business students bring a versatile blend of business and technology skills to their internships. More than 90 percent of business students complete at least one internship. AT&T's search for tech-savvy, leadership-track interns brought the company right to Stevens. Caitlin Haggerty helped a clothing rental startup launch its mobile app. An internship with Jet convinced Katti Thomasian that tech, not banking, is the career path for her. Joyce Pegler got multiple internship offers, and chose PwC after reaching out to Stevens alumni. Jane Castro's business savvy made her a successful consultant in the fashion arena. Laura Murphy's coding skills made her an invaluable asset at Dublin's Trinity College. At iCIMS, Jimmy Flaherty got a chance to play a more strategic role as the company weighed its growth plans. When New York City's sanitation department needed help getting its data in order, it got an important assist from Jeet Kothari. Victoria Piskarev carved out a niche for herself in applying quantitative methods in the city comptroller's office. At Asset Based Lending, Ryan Tom used newfound Excel talents to build predictive models for the company. The business and technology skills Verica Nakeva brought to a school for children with disabilities created real change at P.G. Chambers. Seth Kirschner's professors helped him choose Deloitte when he had four offers on the table. "I was asked so many technical questions on my interviews, and I was able to answer everything, because my Stevens professors taught me so well." "Stevens prepared me for my internship because in every class, you have to be comfortable doing formal presentations, which was a big part of my work at JPMorgan Chase." "When I found the job at Charles Schwab, they said they normally only hire master's students, but on the interview they were blown away by how much programming knowledge I had as a sophomore." "It was amazing, as an intern, to be trusted to try different things out, and really, that’s been my whole Stevens experience — trying different things out and seeing what works." Stevens students are supported in their quest for internships and jobs through a career center that has been ranked among the best in the nation by The Princeton Review.